Winter has done bad things to me...I haven't been able to get up early enough for brunch dates and I've been craving cupcakes. 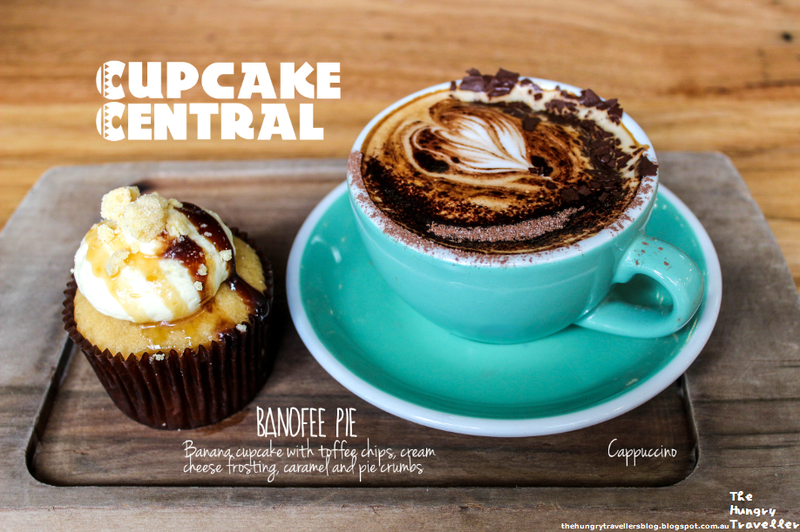 So I've decided to write about Cupcake Central as I've made two visits on my way home from work recently. 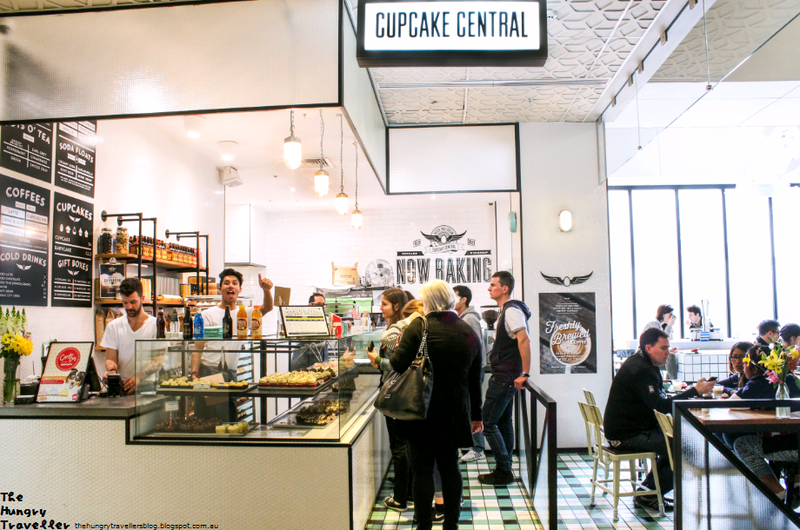 Cupcake Central has an original store in Hawthorn and since the re-vamp of Melbourne Central, they've also occupied a large corner of the Level 2 Dining Hall. The thing I like most about the store is that they also have quirky cupcake flavours. For my first visit in a looong time, I decided not to go with something too outrageous and ended up with a Banoffee Pie cupcake. Who doesn't love Banoffee Pie? It was a nice banana cake dotted with melted toffee chips and served with cream cheese frosting. I liked it alot, though I couldn't finish it as I realised Cupcake Central has cakes that are dense and rich (I don't do too well with richness, unfortunately). But I liked the delicious flavour combination. It went perfectly with a chocolate-flaked cappuccino. The second time I visited, I got tempted by an unusual cupcake...The Potato Head. I don't usually like chocolate desserts that look like they might be too rich, but I was fascinated with the idea of a potato cupcake that I decided I'd give it a go. I wasn't sure if it was a cake made with potato, or a cake with potato chips in it (judging from the chip on top), but both seemed like interesting ideas. It turned out to be the latter - chocolate cake with white-chocolate coated potato chips embedded in the mixture. Again I underestimated my judgement for rich cakes and couldn't finish it, but for chocolate-dessert lovers, you would definately find this very chocolate-y. For me, I loved the potato chip idea. It was salty and sweet and added a funny crunch to the dessert. Overall, I enjoyed the quirky menu at Cupcake Central, but have to add that I felt that the cupcakes were a bit dry compared to some other places that I'd visited before. They were also quite dense and rich, as mentioned before. While I prefer my cupcakes soft, some of my friends really like the cupcakes from here...so I leave the final verdict in your hands after you try it! The first time I visited was a Sunday, hence the morning lull. But the second time I came around, it was quite busy, so I suggest a morning visit if you want to enjoy the pretty settings. The service was relatively friendly and fast, though it does seem to depend on the number of people that are there and the person doing the serving...But there are definately some friendly faces...see one waving in my picture? i am totally amazed at your photography! so awesome. Wonderful place, open and airy, and the presentations are lovely. Great photos!